Due to some technical problems (an almost lost package, double orders, package still arriving on time to return most of the items) my Chanel Spring 2014 posts got delayed and delayed. In the end I was convinced that everything was already sold out and there was no point in reviewing things you can't get anymore but hey, today I checked it out, in Germany almost all the pieces are available, even online. 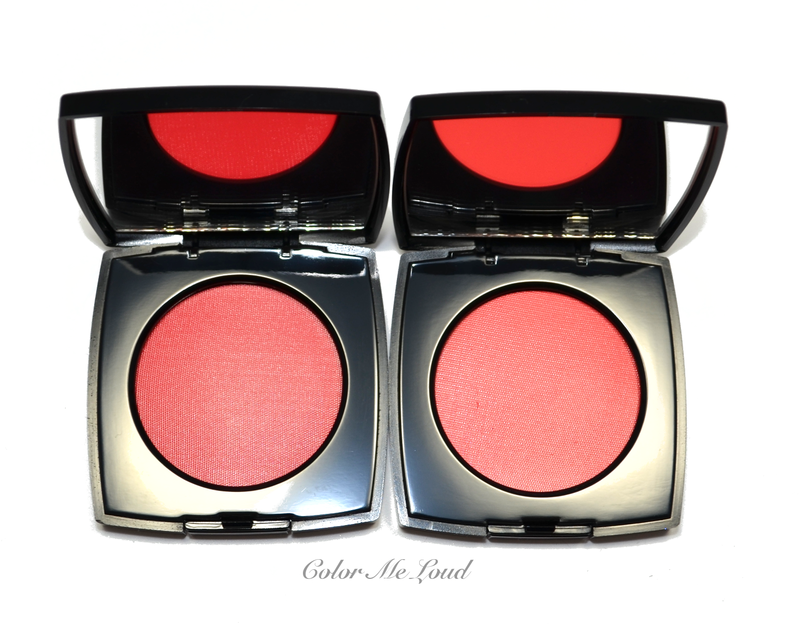 Here is a little post to show you the two additions to Chanel creme blushes, one is going to be added to the permanent line. Testing the first six creme blushes which were released with Chanel Fall collection last year, I found out that their formulas are similar but have differences depending on the shade. I found some of them to be more drying on my normal to dry skin and some more hydrating and long lasting. Good news is that both Chamade and Intonation have one of the best formulas of this range. Previously I reviewed Presage and talked about how to make it last longer on the cheeks by applying it with a dense cheek or foundation brush, which is a valid statement also for these two shades. In the pan #67 Chamade and #69 Intonation look similar. 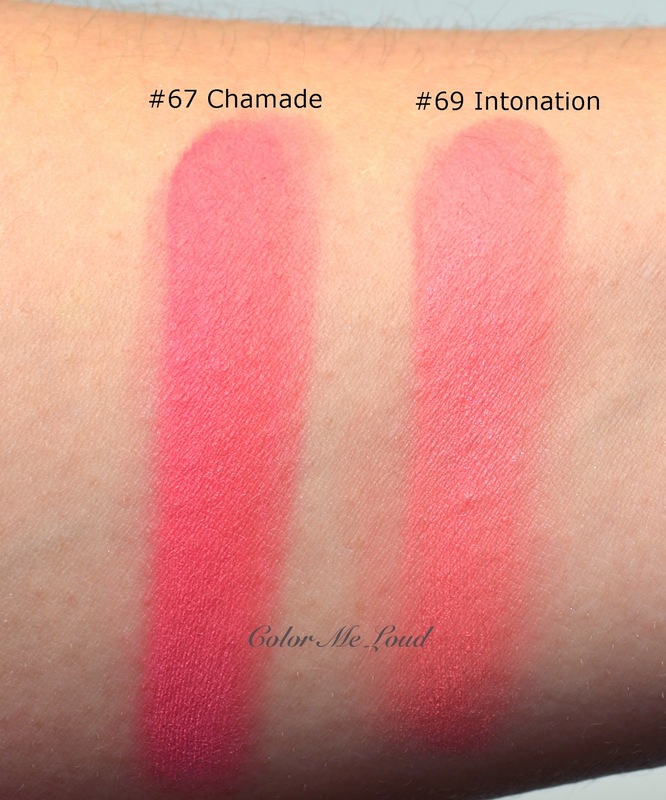 Once they are swatched, you can see that Intonation is lighter and a little brighter, Chamade is a little cooler. Once sheered out on the cheeks, they are similar though so if you can't get your hands on Intonation, which is the limited edition item, you can find Chamade in Chanel's permanent range. 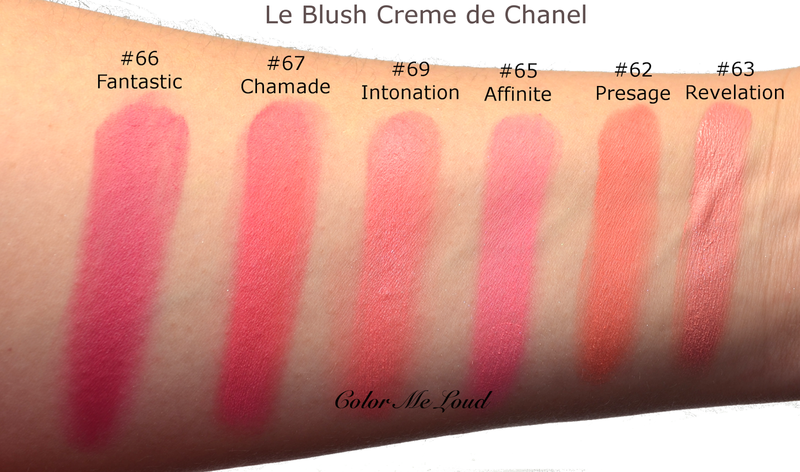 Below you can see the comparison to other Le Blush Creme de Chanel for your convenience. As you can see both Chamade and Intonation are rather unique to the line. Intonation is close to Revelation but a little cooler and brighter. The closest shade to Chamade is Fantastic, which is deeper and cooler. 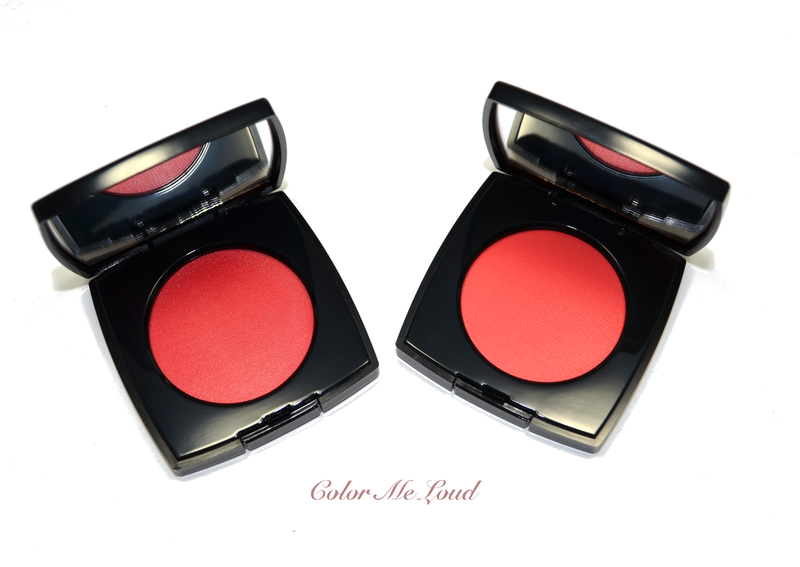 Final thoughts: Two new Creme Blushes of Chanel don't disappoint in terms of formula. Two shades are close so you may want to choose one. I will try to post some looks with these soon. Have you picked up anything from Chanel's Spring Collection? You are right about the redness, some tones doesn't really flatter us and it is good to know what to avoid and what to get. Very red blushes also doesn't look good on me but these were no problem until now. Hey Sara, thanks for the swatches! I already own three shades and despite the fact that I use them a lot, I am not sure I'll get any more of them just now. I'll definitely check Chamade out at some point though! Would love to see some looks! yes, I can see your point, after they are sheered out, they look very similar, so one doesn't need all of them for sure. Oh, these require a light hand and slowly building up. If you get too much at once, it is very hard to get rid off lol.